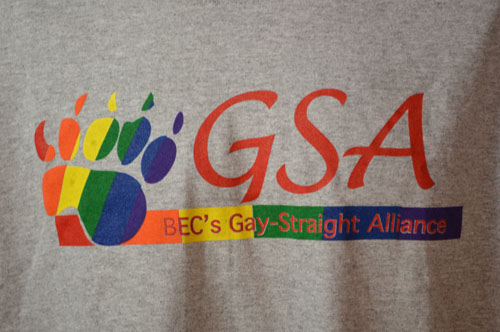 Front: "GSA BEC's Gay-Straight Alliance" Reverse: "Wake Up. 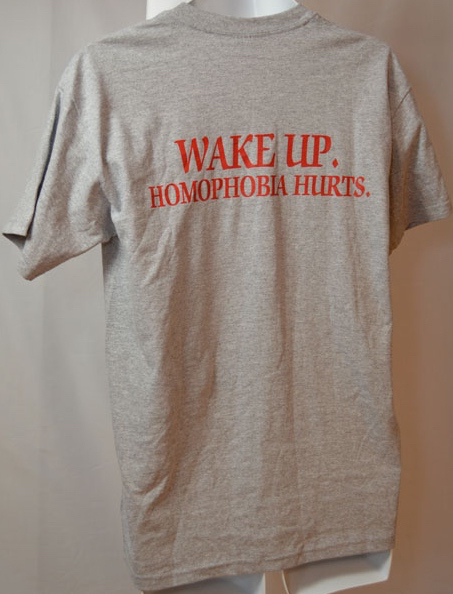 Homophobia Hurts"
A bear's paw in rainbow colors. 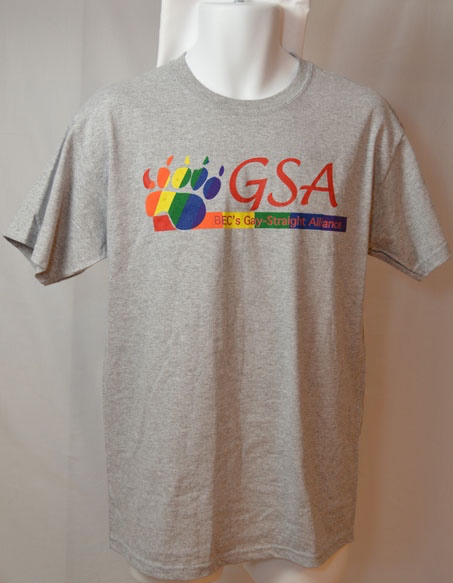 “BEC's Gay-Straight Alliance,” Wearing Gay History, accessed April 19, 2019, http://wearinggayhistory.com/items/show/4104.